January 17, 2015 – We’ve talked about being careful with treats for the animals you visit (see Even the Best Treats aren’t for every Dog), but which foods are truly dangerous for dogs and cats? Have a look at our latest list, and please feel free to contribute if we’ve missed anything. • Artificial sweeteners, especially xylitol – These can cause liver damage. It can also cause a fast release of insulin resulting in dangerously low blood sugar levels. • Avocados – All parts of the avocado is toxic – from the fruit to the leaves and pits. • Cheese and other fats – Too much of these may cause pancreatitis. This is a life-threatening illness with long-term rehabilitation. Many people like to hide medication in cheese because the dog’s love it. We suggest a soft piece of meat wrapped around it or a little peanut butter on a cookie with the pills in it…and a follow-up cookie within eye level so the first one goes down before they realize there’s a pill in there! Of course…there are wonderful products on the shelves to hold pills such as Pill Pockets that are a treat in themselves. • Chocolate – The theobromine in chocolate is toxic and can be fatal to pets within 24 hours. Dark chocolate is particularly dangerous. Unfortunately I saw a beagle almost lose his life to a large dark chocolate bar that the person had thought was well out of reach of the dog. But dogs have a sharp sense of smell and pushing a chair over to the counter was no problem to get to the prize. It took a night at the emerge clinic and several days of recuperation to save him. • Coffee and caffeine – This speeds-up the heart rate to a dangerous level. 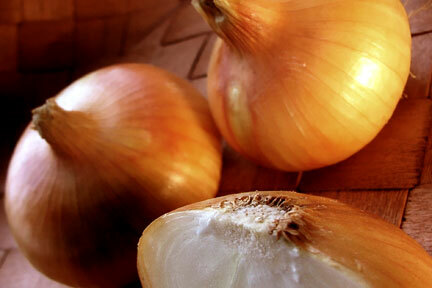 • Garlic and onions (even cooked) – These contain chemicals that can damage red blood cells. At one time you’d see these in foods and treats but not so much anymore. I expect when you do see garlic flavoring on a treat package, that’s exactly what it is. Just flavoring. Then again…there are so many other choices…why take a chance? • Grapes and raisins – These can cause acute kidney failure. • Macadamia nuts – Although these nuts are toxic, you might not see signs of illness for 24 hours. Just another reason not to brush off any sign of a pet not acting like himself. • Pits and seeds from fruit – You’ve probably seen this before. Both pits and seeds can cause cyanide poisoning. Small ones such as strawberry and blueberry seeds are fine. • Raw eggs – This will cause a debate amongst the raw food enthusiasts, but I’m only listing what I’ve found on more than one site. Raw eggs can lead to salmonella poisoning. • Tomatoes – Tomato contains atropine. This can cause an irregular heart beat. We have recently found tomato in a a good brand of tinned food and we’re contacting the company about it. • Yeast dough – Why would anyone give an animal yeast dough! I almost didn’t include it in this list, but if you are a bread or sweet-bread make who uses yeast… beware. The dog might be attracted to the beautiful scent of it while it’s rising an you’re not in the room. Yeast dough can swell as it rises, causing ruptures in the colon. It’s worth knowing. Chicken Jerky Treats – Be aware of the treats you buy for your pet. For several years certain jerky treat brands have caused illness and deaths in a number of dogs that ate them. The problem appears to be the chicken, purchased outside North America, but as the American Food and Drug Administration (FDA) has been unable to find a conclusive cause, it hasn’t put out a recall. Many trustworthy pet food manufacturers have sent out recalls voluntarily, but you can’t rely this. We have to be careful not to interfere in other people’s care of their animals but often they don’t know about the foods that are dangerous. I put out a list similar to this as part of a company newsletter…and we sometimes mention cheese being a bit tricky on the dogs when clients ask us to use it…and we suggest peanut butter or Pill Pockets. They just don’t know. If they say not to worry, it’s all you can do…except, of course, put their pills in a bit of bread or meat or some other treat they can have while you’re on duty. For day 17 of our 365 Days of Pet Sitting, we actually had the day off from pets. I spent time going through my paperwork today and of course researching for this article. We had a few calls from current clients for upcoming visits and two new potential clients. We have a wonderful pet sitter who works with us on the other side of town who is also so busy we can’t seem to connect these days…and today was no exception. Maybe tomorrow. Until next time…have fun, and stay safe out there!